Large glass wagon beer pitcher with spout and large C-handle for generous servings of cold beer beverages. 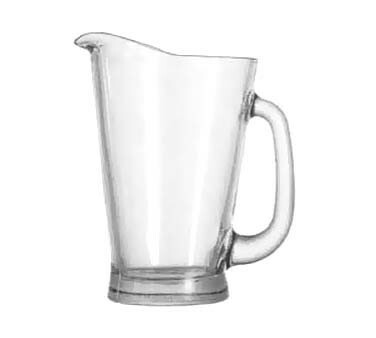 Designed with thick clear glass to keep chilled beer longer, this large pitcher is great serveware for high-traffic bars and drinking joints. The 55 oz. wagon beer pitcher measures 9-1/8 inches high and 7 inches across and is sold under product code ah-1155ur.